This article was published on 11/09/2017. I've been doing "top five" lists of Nintendo games for the past couple of years, but this year, I decided to expand the scope of this article to include games made by other companies. I'm doing this because I didn't play enough Nintendo games this year to make a sizable enough list. However, even when including titles developed by other developers, I still don't have enough for a top five list. That's why this is going to be a top four list instead. Last year also saw a top four list from me, so this isn't the first time I've done a top four instead of a top five. As usual, the rules are that only games made in 2017 are eligible to be on this list, and I must have played them all the way through. Most of the games on this list are obvious choices, but what I say about them may surprise you. So yeah, these are my picks for the top four games of 2017. 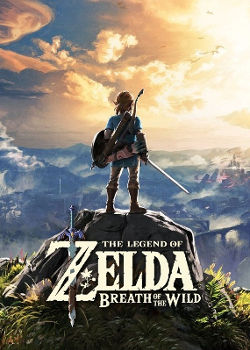 #4) The Legend of Zelda: Breath of the Wild for the Nintendo Switch and Wii U is number four, and playing it is such a chore. I'm certain anybody reading this is going to be surprised to see Breath of the Wild so low on this list. You'll be even more surprised to know that I don't like this game all that much. It's basically Skyrim with "Zelda" slapped onto the box, as it plays almost nothing like a Zelda game. When compared to one another, Zelda games are all fairly similar, but when compared to everything that's on the market right now, they're unique. Breath of the Wild abandons Zelda's unique identity in favor of becoming just another generic open world game, because that's the new "in" thing now. If you're into modern open world games like Skyrim, and most people are, then you'll probably like this. I, however, find these games boring. There's too much walking or horseback riding and not enough action. Also, weapons break too often in Breath of the Wild, and I spent most of the game searching for materials to upgrade my armor so that I wouldn't die in one hit. The only time I had a good time was when I stopped playing. #3) Metroid: Samus Returns for the 3DS is number three, and it's certainly not free. This is a remake of Metroid II: Return of Samus, which originally came out on the Game Boy in the early 1990s. Metroid II was my very first Metroid game, so while it's far from my favorite in the series, I do have a soft spot for it. Normally, I don't play remakes, but I made exceptions with Metroid: Zero Mission and Samus Returns because they both diverge wildly from the source material. They diverge so wildly that they're essentially entirely different games. 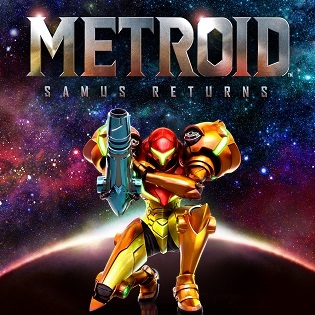 Samus Returns is the first side-scrolling Metroid game since Zero Mission, which originally released in 2004 on the Game Boy Advance. While nowhere near as good as Super Metroid, Samus Returns is a lot of fun, providing the tried and true Metroid exploratory experience that we all know and love. The only thing I didn't like about it was the "melee counter," a move that allows Samus to swat away foes with her gun if they get too close. You must wait for enemies to attack first before a melee counter is possible, and the developers force you to do this over and over, interrupting the flow of the game. #2) Sonic Mania is number two, and it's good, too. This is the only non-Nintendo game on this list, but I did play it on the Switch. 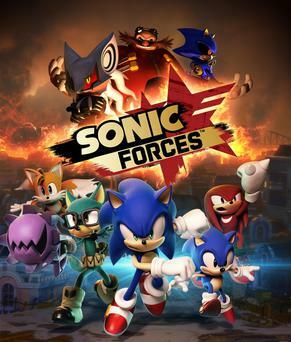 Made by Sonic fans for Sonic fans, Sonic Mania is the best Sonic game since the classic series on the Sega Genesis. Sporting a faux 16-bit visual style, Sonic Mania picks up right where Sonic 3 and Knuckles left off, both in story and mechanics. The development team absolutely nailed the controls and physics of those games. Plus, all the cool concepts introduced in Sonic 3 are back, like the elemental shields. 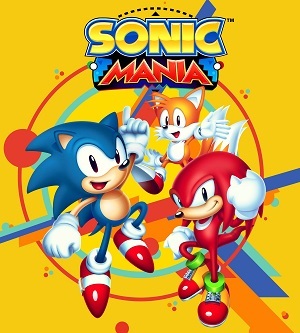 If you enjoyed the classic Sonic games from the Genesis era, then you'll definitely love Sonic Mania. The only major issue is the overabundance of the Blue Sphere bonus stages. I love me some Blue Sphere, but even I couldn't handle the sheer quantity of Blue Sphere stages in this game. That's a relatively minor issue, though, especially since they're avoidable. #1) Super Mario Odyssey for the Switch is number one, and now I've won. 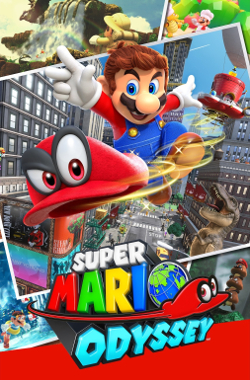 Nintendo advertised Mario Odyssey as being more in line with Super Mario 64 and Super Mario Sunshine than the other 3-D Mario titles, but really, it combines elements from all of the Mario games. It also borrows from Kirby, as Mario's new ability in this game is to possess enemies with his hat, allowing him to use their abilities. This is an odd fit for Mario, but it works surprisingly well. All of the worlds are fun to explore, especially the infamous "New Donk City." Using Mario's remarkable jumping abilities to scale tall buildings is highly enjoyable, though the presence of humans with realistic proportions gives off an unsettling Sonic 2006 vibe. Thankfully, none of Sonic 2006's bad design is present in Mario Odyssey. Mario games are usually good, and Mario Odyssey is no exception. There are absolutely no doubts in my mind that this is my game of the year for 2017. Unlike the previous year, Nintendo really knocked it out of the park this year. Sure, they didn't release too many high profile games this year, but any year that sees the release of a mainline Mario and Zelda game is a big one for Nintendo. As for why there are so many Nintendo games on this list, it's because the only modern gaming system I currently own is a Switch, and I'm a bit of a Nintendo fan. I did consider putting Sonic Forces somewhere on this list, but word on the street is that the game is bad, so I avoided it. I'm done playing bad Sonic games. In any case, these are my top four games for 2017. Let's see what 2018 brings. 1,388,092 people love this site.